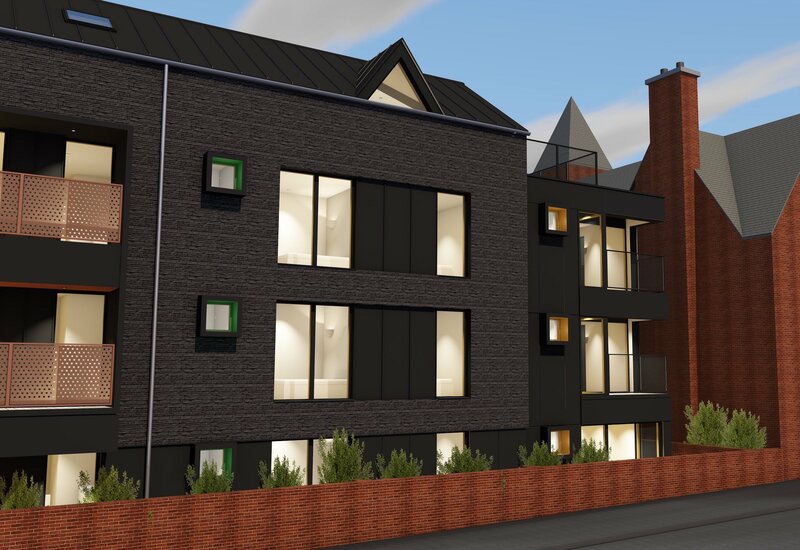 At the end of 2018 Stanley Partnership Architects secured detailed planning approval for the conversion and expansion of Dowty House in the centre of the Brewery quarter, Cheltenham. 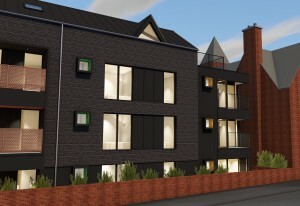 This was a collaborative effort between Stanley Partnership, SF Planning and long standing client, Marcus Homes, as well as a number of other specialist consultants. 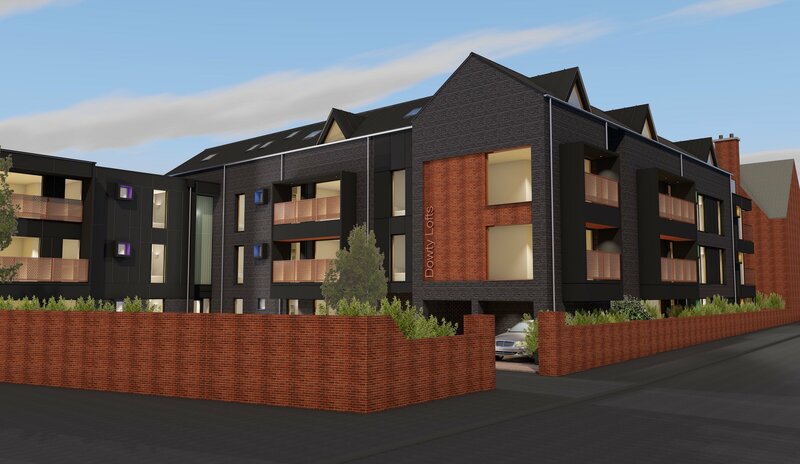 28 apartments have been approved, the design responding to the historical context of the site and the architectural significance of Dowty House, one of the last surviving examples of the brewery and warehouse vernacular. The new bold design, uses anthracite brick and extends the visual presence of the site, acting like a shadow to the main house, itself remaining prominent in the streetscape. 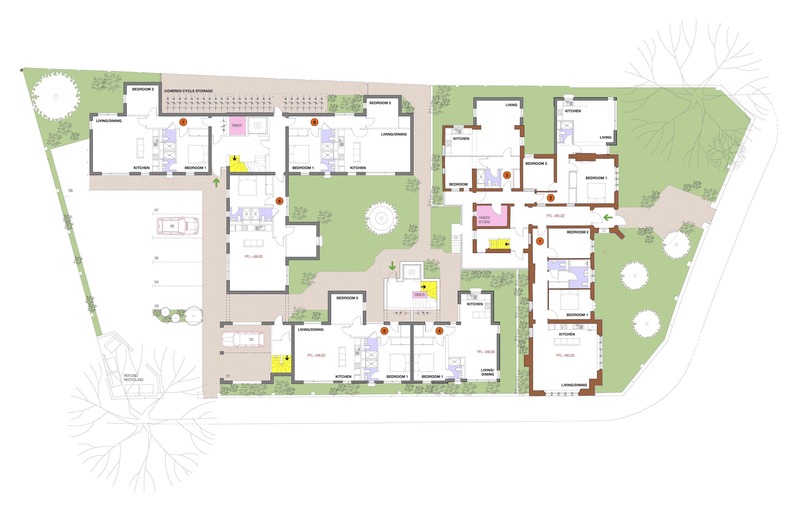 The new 1 and 2 bedroom apartments surround a new inner courtyard, providing much needed urban green space, with additional planting and landscaping around the perimeter. New urban trees are proposed and the sustainable location will benefit from electric charging points and extensive cycle storage. The apartments are carefully conceived including generous room sizes, storage and large areas of glass, all designed to improve the living experience of the occupants. 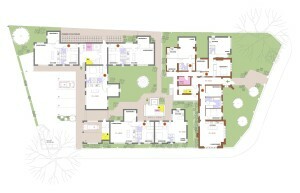 The proposed refurbishment of Dowty House sensitively divides the existing layout to produce a variety of 1 and 2 bedroom apartments. 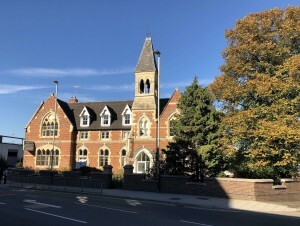 This repurposing of Dowty House will help to maintain the relevance of this much loved building for the future, through continued use. The newly formed living spaces will benefit from the high ceilings and the abundant character of the Dowty House and will compliment the new apartments well to create a integrated and varied living complex.